There will be no more limits of seat adjustment in ETS2! 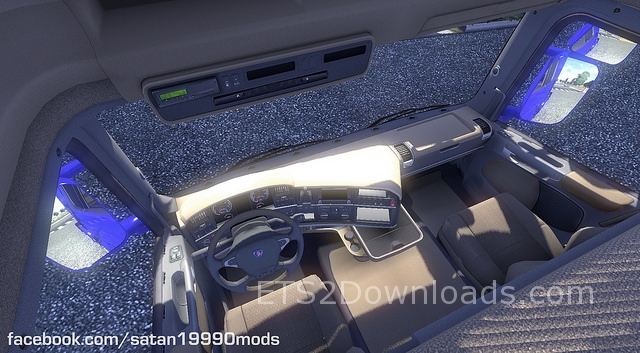 You can sit in any position in the interior with this mod! haha, I might actually like this one. Thanks for uploading. THough I got to say I seem to have ended up sticking with default after playing with 1.11 beta and now 1.11 live. I’m a TrackIR 5 user though. This mod might be good to try and simulate how it would feel to be Greg Gutfeld (Red Eye on FOX news late night) driving in a big rig. Just lower the seat below dash line and whine about not having any pillows handy. It might go good with the misnamed RPM map which should be called the LOLWTF ETS2 map. … which button must be pressed to sit on the right side or above all things?